Ever have one of those moments when you get a piece of news so disappointing that you feel like giving up? When you can’t muster the energy or heart to carry on? When you’re working towards an ambition – whether it’s to return to work after a break, change career, go freelance or start a business – there will be times when things go your way. When you plough through your task list with ease, and when you get the results you deserve. And there will also be times when things don’t go your way. A job you felt had your name on it goes to someone else. Your favourite freelance client suddenly drops you. A new product you were certain would fly off the shelves bombs. That moment you get the news you weren’t expecting or hoping for can feel like a physical body blow. And it can hard to recover from. How can you pick yourself up and carry on when it feels pointless? When you’ve lost all hope you can do this? When you just feel like giving up? Like all entrepreneurs, we’ve had our fair share of disappointment over the past five years. And we’ve learned how to deal with them and carry on. 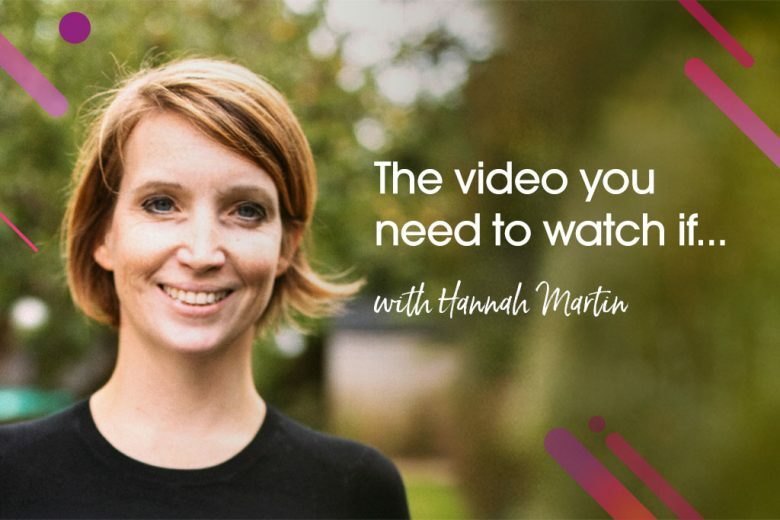 In this video, our founder Hannah Martin shares her advice for what to do when you feel like giving up. Love daily support from female entrepreneurs and freelancers – through the good times and the bad? Join our friendly Facebook group.